I call myself a writer. That means I go out for coffee. A lot. If I sit at my desk or rest my laptop on my lap as I stretch out on the sofa, not much writing happens. I check e-mails (again) for any word about works I’ve submitted. Nothing. That leads to a cheer-up song on YouTube, maybe a glance at Twitter in case there’s news in Europe that could shake up my day, then a stop at Facebook where maybe there will be an inspiring meme or one of those hilarious moose-in-the-backyard videos to get me over that silent rejection. So, yeah, I go out to write. In Vancouver, where I live, libraries are the cheapest spots, but they don’t open early enough. My local branch has a patron who always seems to be clipping his nails, producing a noise I find more grating than a jackhammer. I brace for each snip and wonder just how many fingers the dude has. (Twenty-three would be my guess.) Besides, there’s always two old guys in any library, sitting across from each other, newspapers spread out, offering colour commentary on every article. “You know the series has to go seven. It’s a goddamn business. Hot dogs, jerseys, lots of beer.” I would tune them out with my earbuds but they’d make great characters in some future novel. Muppets Statler and Waldorf beyond the balcony. So it’s coffee. I hit the first café when it opens at six in the morning. Five days a week, it’s a friendly blonde with a squeaky high-pitched voice. Her name is Sounds Good. There, I’m known as Large Medium Roast for Here. I’ve even gotten to know a couple of the other regulars: Eager Cyclist who Lingers Too Long at the Register, MumbleMore who resorts to index-finger communication and the always quizzical optimist Large Dark to Go (first name). He could also be called: Are Any Muffins Ready Yet? The answer is always no. The early bird catches the worm, but fat chance on that blueberry bran. I hit a second café 90 minutes later. By then, I’ve undergone a name change. I’m Large Drip for Table in Back Corner. Sometimes it gets shortened to Drip. Not sure how I feel about that. There’s a rotation of baristas at this place. For a while, it was just one and we had quite a relationship going, back in the days when I arrived at opening and I’d hold the door open as she lugged the sandwich board to the sidewalk before rushing back in to get the credit-card machine ready for Large Drip. We’d smile. Sometimes I’d dare to make a comment about the weather. But then it’s Vancouver. I didn’t want to be known as Always Whines about Rain. Too common a name. Once she was away for a week – Mexico, an antidote to that rainy predicament. A few extra nods, bigger smiles upon her return. After all, the other baristas weren’t on a first-name basis with me. But then by Day 2, we settled back into what was comfortable. Door. Credit card. Coffee at the ready without me having to place the order. Even when I arrive late and she’s working the espresso machine instead of the register, she stops everything to pour my coffee. Anything for Large Drip. Anything, that is, if it’s, well, a large drip coffee. It dawns on me that I don’t have a name for her. She’s efficient and always smiles. But she seems worthy of something with a nicer ring than Knows My Order or Deserves a Raise. Sara maybe. But that comes to mind because I’m writing this from another café where Hall & Oates’s Sara Smile plays on the overhead speaker. Rhiannon? Mandy? Ah, 1970s music! I’m just glad the soundtrack hasn’t switched to the eighties, with the speaker suggesting Sussudio. If I ever get another book published, I’ll have to give some serious thought to how to word things on the acknowledgments page. How do I thank these people, the regulars in my writing life? Thanks to my parents, my agent [still looking – insert name here], my editor [another insert] and Knows My Order. These baristas and cafés are an important part of my process. They don’t know it, but they help set the tone for a regular, hopefully even productive day of writing. Their smiles and a sentence or two about the glorious morning sun or, more typically, another rainy start are as close as I get to water-cooler talk. Alas, we’ve passed the point in which we can make formal introductions. On weekends, my six-in-the-morning café is closed, so I walk to Chinatown for a seven-o’clock-start at another place. I should be known as Kenyan Pour Over for Here but, no, they call me Gregory. They ask your name when they place your order. It gets typed into the iPad register. That might alarm some people. Maybe it goes to the Russians who are keeping data on Canadian coffee choices, but I like it. One guy doesn’t even have to ask each time I arrive. Unfortunately, I’ve been unable to break the barrier and ask his name. He’s still Likes My Backpack with the long-winded alias Always Offers a Glass of Water While I Wait. There are other spots. A place in Gastown knows me as Large Decaf Nonfat Lavender Latte, an overly frilly name that always makes me blush when the guy calls my “name” again when my drink is ready. It’s a far cry from “Norm!” on Cheers. 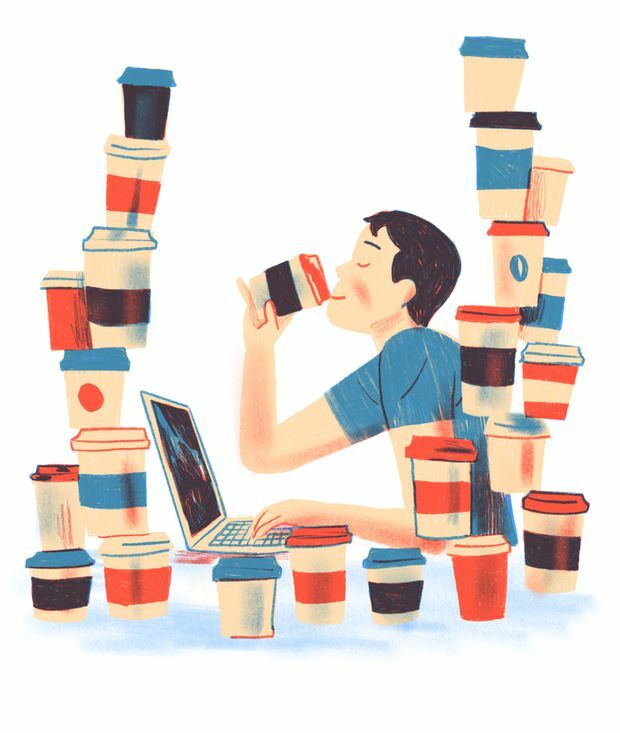 I go by Venti Non-fat Steamed Milk at my local Starbucks if I’m still writing into the night, knowing that anything resembling coffee will unsettle my sleep and make it too much of a slog for the next morning’s routine. After all, I wouldn’t want Sounds Good to miss me.